Those who do not register face a fine of up to €5,000. TODAY IS THE final day for the registration of septic tanks and other domestic waste water treatment systems, despite recent calls from one TD for the deadline to be extended. 1 February was decided on as the final day for people to register their domestic waste water treatment systems, but by Monday of this week one third remained unregistered. According to Census 2011, there are 487,911 domestic waste water treatment systems, including 437,652 septic tanks and 50,259 individual sewerage systems. But just four days ago, 312, 383 people had registered. A reduced fee applied for people who registered before 28 September 2012, and it then rose to €50 after that date. 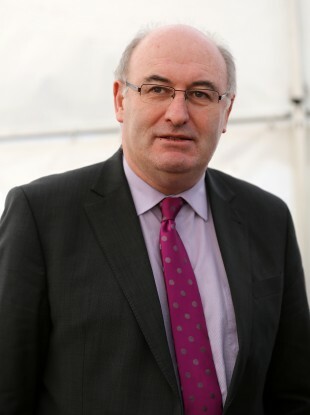 Earlier this week, Sinn Féin spokesperson on the environment, community and local government, Brian Stanley TD, asked that Environment Minister Phil Hogan extend the registration deadline for septic tanks until 31 March. A spokesperson for the Local Government Management Agency told TheJournal.ie that after today’s deadline, local authorities will be looking at their databases and collecting information on the properties that have not yet registered. They “will follow up as appropriate” after this. People who fail to register in time could face a fine of up to €5,000. According to RTÉ, Minister Hogan said that those who fail to pay the fee would not be entitled to financial assistance if their tank develops a problem in the future. Email “Today is the final day for septic tank registration”. Feedback on “Today is the final day for septic tank registration”.